Babu Ayindo, MA ’98, has taught at seven SPI-type institutions all over the world, in addition to his frequent stints at SPI. 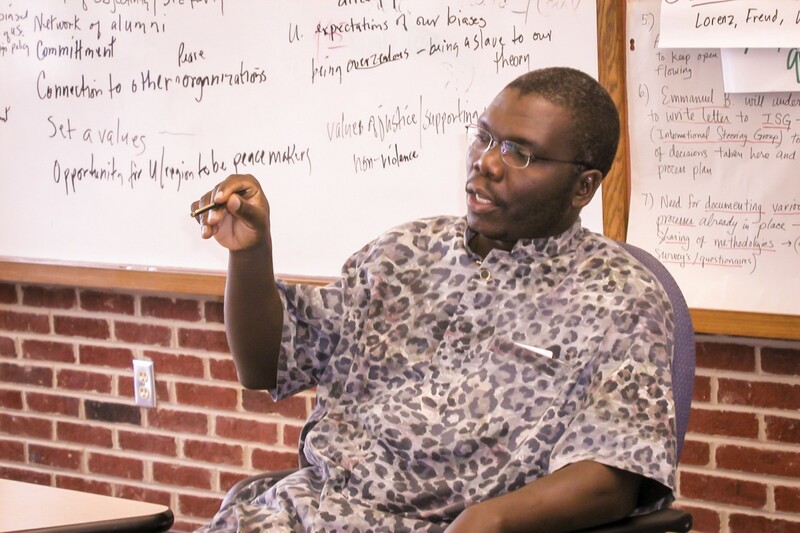 In 1996, Babu Ayindo traveled from Kenya to be among the earliest students pursuing a master’s degree in conflict transformation at EMU. He had always been a “doer” and credits EMU’s Center for Justice and Peacebuilding (within which SPI is nested) for valuing that. He earned his MA in conflict transformation in 1998 and today, 17 years later, is pursuing a PhD in the field at the University of Otago in New Zealand. 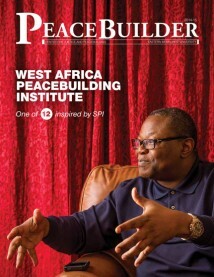 Babu is one of the most sought-after teachers of peacebuilding in the world. He has returned to teach at SPI repeatedly and at SPI-like peacebuilding initiatives in seven other locations: Washington D.C.; Fiji; Mindolo, Zambia; Nairobi, Kenya; Winnipeg, Canada; Davao, Philippines; and Caux, Switzerland. He is scheduled to teach at the Northeast Asia Regional Peacebuilding Institute in Mongolia in August 2015. In Babu’s view, the basic courses taught at most of these institutions are not substantively different from those at CJP. But each institution needs a strategic vision for its own area of the world, he says. Those in the Global South need to work more at decolonization, including decolonizing the meaning of peace and justice and tapping their own indigenous paradigms for peace. In the Global North, CJP should focus on shifting the United States toward a more just, peaceful path, Babu says.